Twenty-five-odd years ago or so, I seem to remember my parents strapping me into their cars using duct tape, a plastic cell and a prayer. 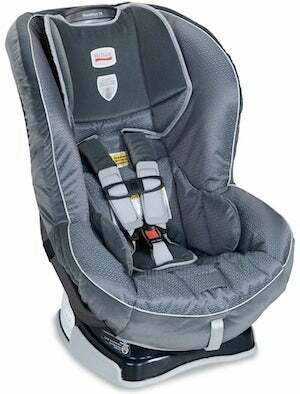 Today's kids, with their Britax superseats, seem positively enveloped in comfort and safety. From a gel-padded impact-absorbing base to the reinforced steel spine to Recaro-esque visual cues, this seat looks safe and, perhaps most importantly for those long Saturday morning errand runs, comfortable.